An injection Snoreplasty is a relatively new medical procedure that is indented to aid against and stop snoring. Unlike other procedures such as tonsillectomies and adenoidectomies, an injection snoreplasty is much less painful, fast, and affordable. The procedure itself involves first numbing the upper palate of the mouth and then injecting a stiffening or sclerosing agent that will eventually form scar tissue in that area. As the scar tissue develops, it naturally stiffens the area where the injection was made and reduces the surface area where the air vibration occurs in the airway that leads to snoring. You must schedule a thorough ENT exam with your Ear Nose and Throat doctor before moving forward with the thought of this procedure since it’s not the right treatment for everyone. The thorough exam is performed to ensure there are no other underlying sleep-disorders going on such as obstructive sleep apnea. Sleep apnea is a frequent cessation of breathing from an obstruction in the upper airway. It’s possible that your ENT doctor may order a sleep test so they can monitor your snoring and determine whether or not you have sleep apnea. Injection Snoreplasty is not a common treatment for sleep apnea at this time, however, clinical studies are being done and monitored to see if this is a future solution or treatment for sleep apnea. The actual procedure itself is not typically referred to as a surgery but as a nonsurgical “treatment”. It’s comparable to getting a fast tooth filling at the dentist. You check into your ENT doctor’s office, they numb the top/back of your throat and inject a fluid referred to as Sotradecola that will eventually promote tissue scarring. Once the procedure is complete, the patient can return back to work, home, or school the next day or even immediately following the treatment if they prefer. Immediately following the treatment, you will have some tenderness towards the roof of your mouth. Depending on how you react to the injection, you may or may not need pain medication. Swelling will most likely occur, but it should not be anything major. Expect a sore throat for a few days as well. Over the counter pain relievers such as throat spray, lozenges or Tylenol are typically recommended after the treatment. You may experience the feeling that something feels stuck at the back of your throat. This sensation is from the injection and will go away within a few days once your body scars and gets used to the hardening of the palate tissues. Prescribed medications can also be taken if your doctor suggests them. Consult your doctor after the procedure to make sure any medicine you are currently taking does not interfere with any prescribed pain meds that your doctor may administer. Most patients can return to work the same day after the treatment. You will not notice an immediate improvement in your snoring because the palate tissue needs to scar and harden first. This can take several days to a week – everyone has different results. Once the scarring occurs, the vibrations on your palate will reduce since the mouth tissues will be hard. Some patients require multiple treatments and injections. This just means that your body did not scar as much in the area near the injection. You will consult with your doctor at a follow-up appointment and they will examine the scarring and determine if another treatment is necessary or not. Your doctor may also order another sleep test to evaluate the results of the treatment. Will I be in the hospital for several days? The short answer is no. However, if complications do arise during the procedure, further hospitalization may occur. Everyone handles procedures differently. This is typically a very quick out-patient treatment similar to a dental visit and usually, adults can return back to work the following day or same-day. Do I need general anesthesia for an Injection Snoreplasty? In most cases, just local anesthesia is administered during an injection snoreplasty. A topical anesthetic numbs the upper portion of the mouth where the hardening agent is injected. If you have problems with dental visits and are usually given general anesthesia during dental visits, then you may request to be put under during this procedure as well. But in most cases, a topical anesthesia is administered. The procedures can range from $200-$800 per treatment. It may take up to 2 treatments to be completely effective. 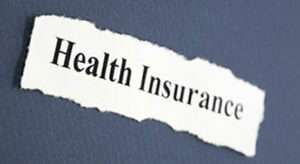 Based on your insurance plan, one or more treatments could be covered by your insurance provider. Some providers cover the initial consultation and evaluation, but not that actual procedure. Be sure to check with your healthcare provider before planning and scheduling this treatment. What is the recovery time like for the procedure? There is very little recovery involved with an injection snoreplasty if any. In general, the treatment itself is almost as simple as getting a Novocain shot in preparation for a tooth filling. Once the stiffening agent is injected, the doctor may keep you for several minutes to make sure there is no immediate reaction to the injection fluid. After that, you can simply leave the doctor’s office and return to school or work as planned for the remainder of the day. You will have a slightly sore throat for a few days, but the recovery time for this procedure is much less than that of a tonsillectomy or adenoidectomy. It is not as invasive; therefore the recovery time is very minimal. What does the actual treatment involve? The 20-30 minute treatment is very basic. 1. The doctor numbs the upper throat with a topical numbing agent. 2. A stiffening sclerosing agent is injected into the top of the mouth right in front of the uvula or upper palate. 3. You can wait patiently for a few minutes until the doctor approves you can leave the office. Once the agent is injected, a small blister will form over the next few days and scar tissue will develop in that area. The mouth tissue hardens from the scar tissue, which retracts the uvula forward thus eliminating the palatal flutter that is the ultimate cause of snoring. 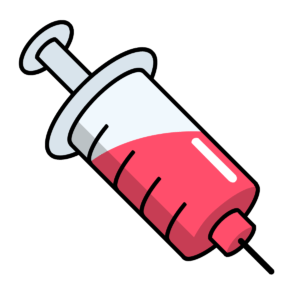 A sclerosing agent is a solution that contains an irritant substance that will disrupt the space or area where it is injected. The actual contents are not harmful, however, it is meant to irritate the upper portion of your mouth just as a cut or wound would –eventually forming a scar or scar tissue. The most common sclerosing agent used on a treatment such as this is Sotradecola. Once the scar tissue forms, it becomes hard and makes the upper palette stiff; thus reducing or eliminating snoring. Sotradecola is the short term for the medical name sodium tetradecyl sulfate. This is the most used hardening agent used during an injection snoreplasty. Sotradecola is approved by the Food and Drug Administration. It is typically used in varicose vein procedures. The FDA recommends it is used for intravenous use only. There are some side effects from this stiffening agent. It can trigger allergic reactions like anaphylaxis, a serious allergic reaction that rapidly onsets. If this occurs, epinephrine injections can counteract the reaction. Sotradecola can also cause tissue necrosis which in simple terms is cell tissue death. An example of necrosis is gangrene. When this occurs, the affected area usually needs to be surgically removed. What is involved in injection snoreplasty prep the day before the procedure? There is little to no prep for this treatment. 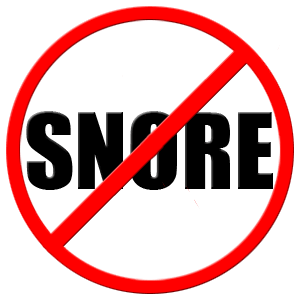 Unlike other stop-snoring surgeries, an injection snoreplasty is not invasive or a complicated procedure. Some doctors may administer a mild sedative before the procedure, or a topical numbing agent. There is no fasting or other medical prep that needs to take place for this treatment unless of course there is a special instance where the patient needs to be given general anesthesia. This is unlikely and a rare instance. What are the side effects of injection snoreplasty? The main side effect of the procedure is discomfort immediately following the treatment. It’s nothing a little Tylenol can’t take care of though. There are several risk factors however and complications may occur that include palate swelling, palatal ulcerations or palatal fistula. Palatal ulcers are typically infectious and you should contact your doctor immediately if you see an ulcer start to form. Palatal Fistula symptoms include impaired speech and fluid leakage into the nasal cavity. These are more serious complications that are rare from this treatment. If any of these signs develop, contact your doctor immediately. Will injection snoreplasty stop my snoring? The Walter Reed Army Medical Center staff was the first to invent and practice an injection snoreplasty. Originally a medical study confirmed that the treatment had a 92% success rate when having an average of 2 treatments completed. A more recent study found that the success rate may have dropped to nearly 75%, but only after 2 years of treatment. This is most likely due to the palate scar tissue actually softening back up again. You can have the treatment repeated years after your original procedure in order to keep the palatal tissue scarred and stiffened in order to keep snoring under control. What if it doesn’t stop my snoring? In most cases, patients usually require at least two treatments in order to see complete results regarding snoring. Keep in mind that you may have to wait a few weeks in order for the scar tissue to completely form. If the scarring hasn’t started yet, snoring may still occur. If the existing scarring that has occurred is not enough to stiffen the palate tissues, then more treatments will be necessary. If snoring still occurs after 3 or more treatments, there may be another underlying cause of the snoring. Consult with your doctor regarding the matter. 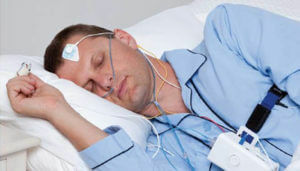 They may perform another sleep study in order to see if you have developed sleep apnea. Can this be performed on a child? There is no scientific evidence that this is a long-term solution for snoring on a child. More commonly practiced, however, are adenoidectomies or tonsillectomies on children. Palatal tissue scarring can become soft over time, so children may need to get injection snoreplasty treatments over the course of their life. Because of this, it’s unlikely for a doctor to perform this type of treatment on children at this time. It’s typical to experience some discomfort after having an injection snoreplasty. Think about how you feel after having a tooth pulled – you are still swollen and groggy from the Novocain and you may experience some pain in the area of the mouth that your dentist was working in. It’s about the same experience after having an injection snoreplasty treatment done. You may feel like something is stuck at the top of your mouth and will experience some soreness in that area as well. Over the counter medicine should do the trick but your doctor will most likely prescribe pain medication in the event that more serious swelling and discomfort occur. How much bleeding will occur during or after the surgery? Surprisingly, there should not be much visible blood at all. After the needle with the stiffening agent is inserted into the palate, there are no other lacerations or injections into the skin. There may be a bit of blood noticeable at this time, but after that, there should be no signs of major bleeding. If you notice an abnormal amount of bleeding, contact your doctor immediately. Will insurance cover an injection snoreplasty? In most cases, your insurance provider will cover the initial medical evaluation and consultation. However, the treatments are typically out of pocket expenses. Check with your healthcare provider before scheduling your first consultation. Treatments are relatively inexpensive in most cases. Is injection snoreplasty a solution for sleep apnea? An injection snoreplasty is not a suitable solution for sleep apnea at this time. After you have your sleep study performed and have your initial consultation with your doctor, they will evaluate your situation and recommend the best treatment for you. Less invasive and inexpensive alternatives are available if you do not want to commit to an injection snoreplasty. There are a number of over the counter and prescription based devices that can be used to stop snoring. To learn more about our suggested stop-snoring devices, continue reading here. Previous post: Adenoidectomy to stop snoring- How adenoids affect snoring and alternative solutions to an Adenoidectomy?